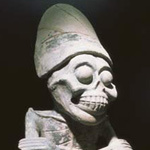 Mictlantecuhtli ("Lord of Mictlan"), in Aztec mythology, was a god of the dead and the king of Mictlan (Chicunauhmictlan), the lowest and northernmost section of the underworld. 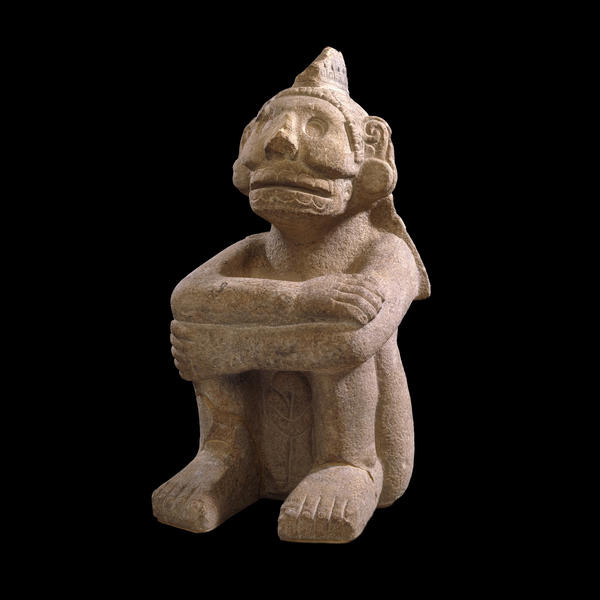 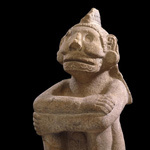 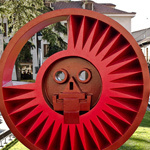 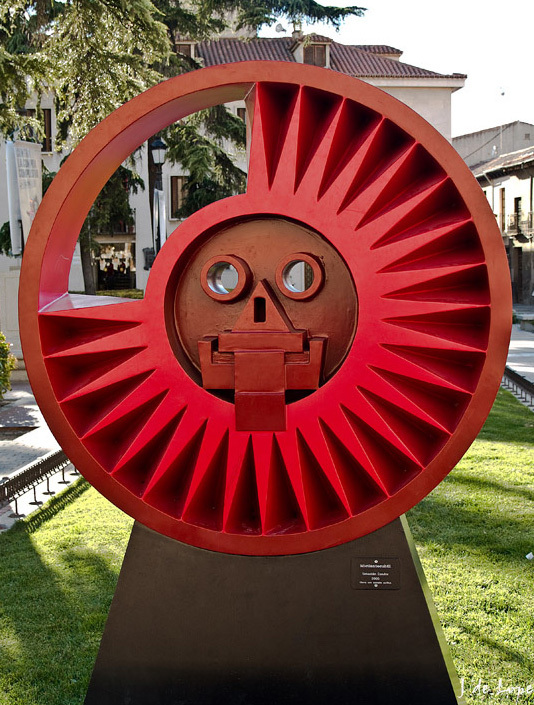 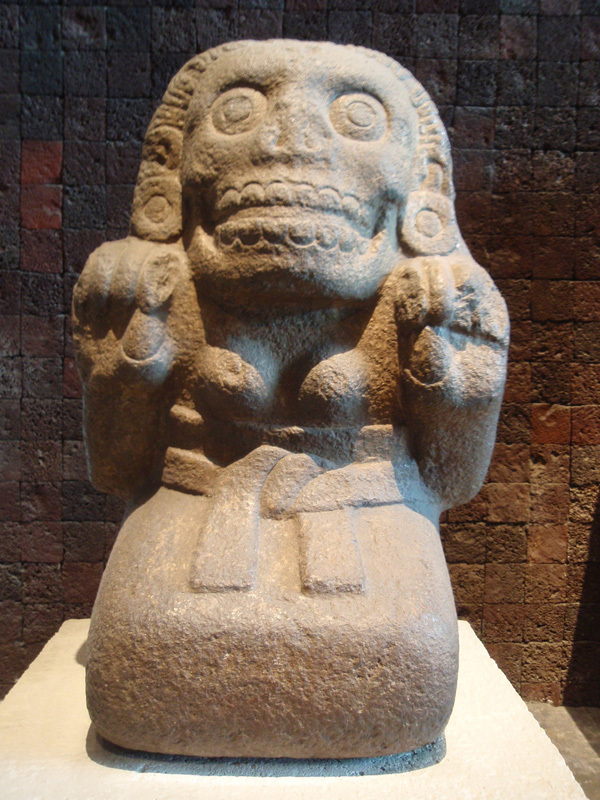 He was one of the principal gods of the Aztecs and was the most prominent of several gods and goddesses of death and the underworld (see also Chalmecatl). 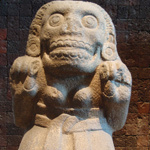 The worship of Mictlantecuhtli sometimes involved ritual cannibalism, with human flesh being consumed in and around the temple. 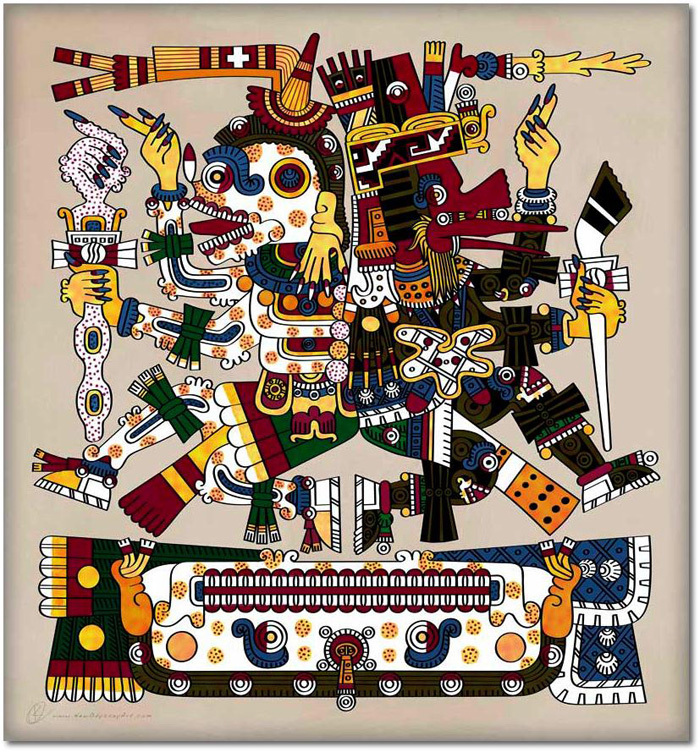 In Aztec mythology, after Quetzalcoatl and Tezcatlipoca created the world, they put their creation in order and placed Mictlantecuhtli and his wife in the underworld. 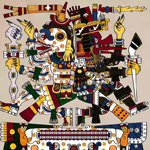 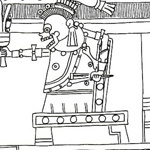 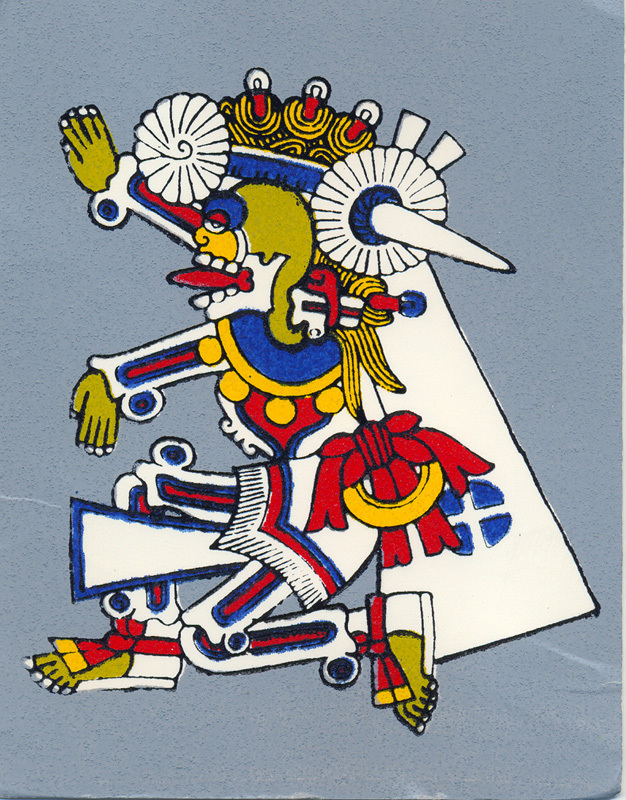 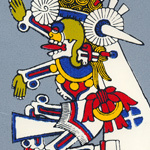 According to Aztec legend, the twin gods Quetzalcoatl and Xolotl were sent by the other gods to steal the bones of the previous generation of gods from Mictlantecuhtli. 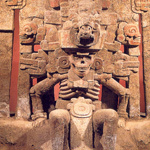 The god of the underworld sought to block Quetzalcoatl's escape with the bone and, although he failed, he forced Quetzalcoatl to drop the bones, which were scattered and broken by the fall. 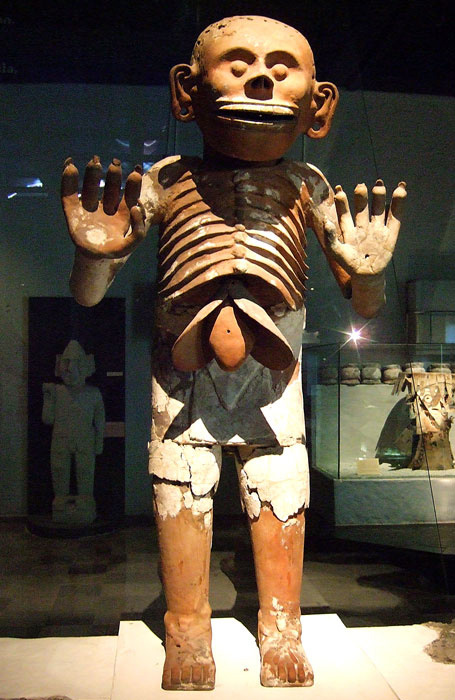 The shattered bones were collected by Quetzalcoatl and carried back to the land of the living, where the gods transformed them into the various races of mortals. 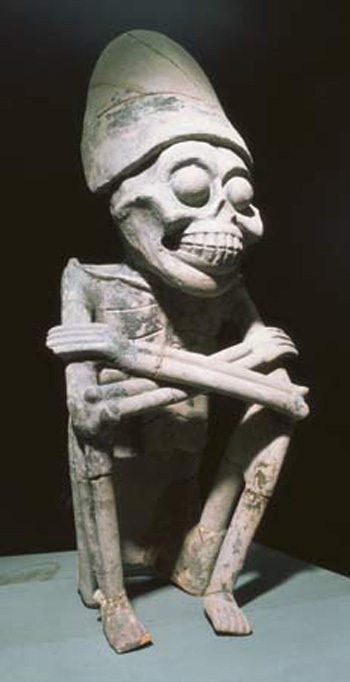 When a person died, they were interred with grave goods, which they carried with them on the long and dangerous journey to the underworld. 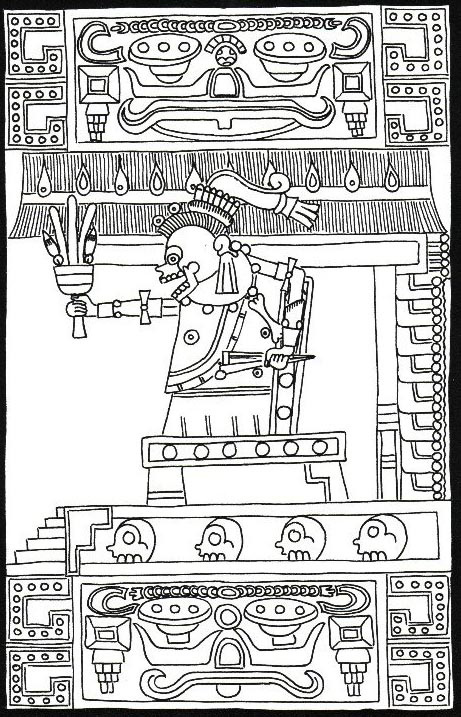 Upon arrival in Mictlan these goods were offered to Mictlantecuhtli and his wife. 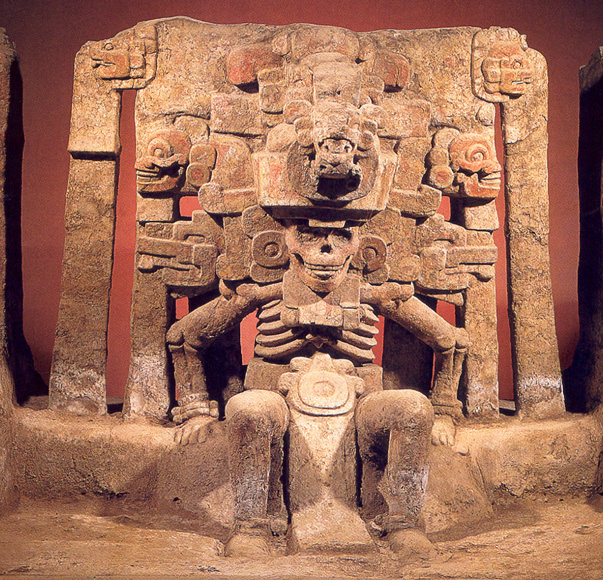 Below you will find a gallery of inspirational images that will help you in your quest of creating the perfect underworld tattoo. 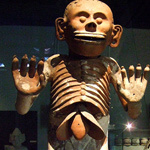 Also Check out: Religious Tattoos, Religious Tattoo Index, Death tattoos , Memorial Tattoos and Latino Tattoo Index.